Reservations for the Grand Tour Edition are SOLD OUT. A very limited number of copies will be made available at special events. 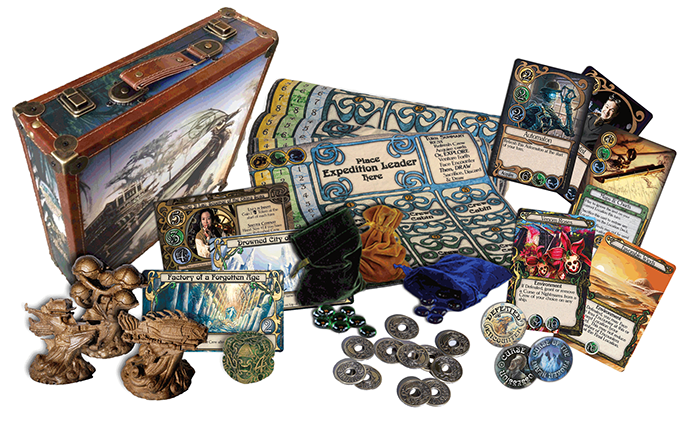 The Grand Tour Edition, a very special release celebrating the first printing of Incredible Expeditions, features luxury upgraded components. Also included are the first two Mini-Expansions: Lovecraftian, filled with supernatural horrors and madness, & 1,001 Tales of Betrayal, featuring clockwork creatures and more opportunities for back-stabbery.